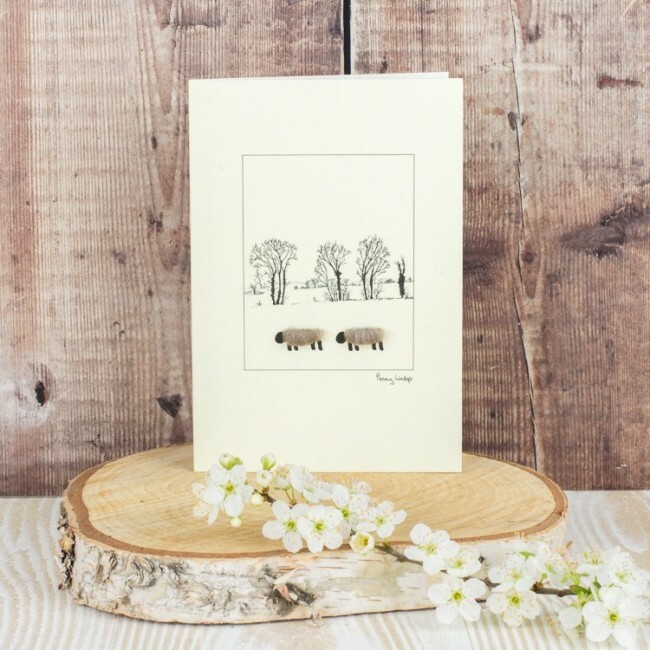 Another lovely sheep design, this one is woolly sheep with a line of trees. It was the flat Norfolk countryside that triggered this design. Penny takes her drawing pens and sketchbook almost everywhere, and has always been drawn to the skeletal forms of trees. 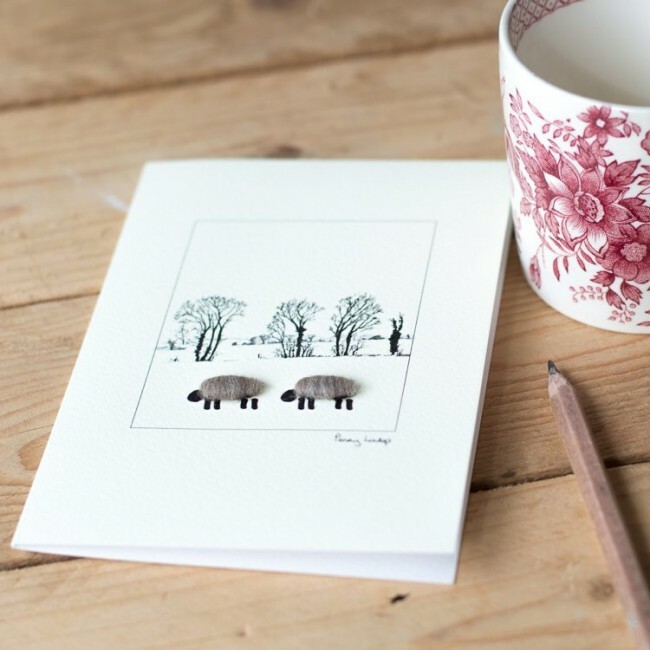 We hand finish each card with 3D woolly sheep using real sheep's wool - we love to raise a smile! It's often difficult to find cards for men, but we think this one fits the bill perfectly, for a man who loves the countryside, for a shepherd or anyone with a passion for sheep. We leave the card blank inside so that you can write your own special message. Supplied with a brown envelope made from recycled paper. We supply the card and envelope in a clear cellophane bag for protection. 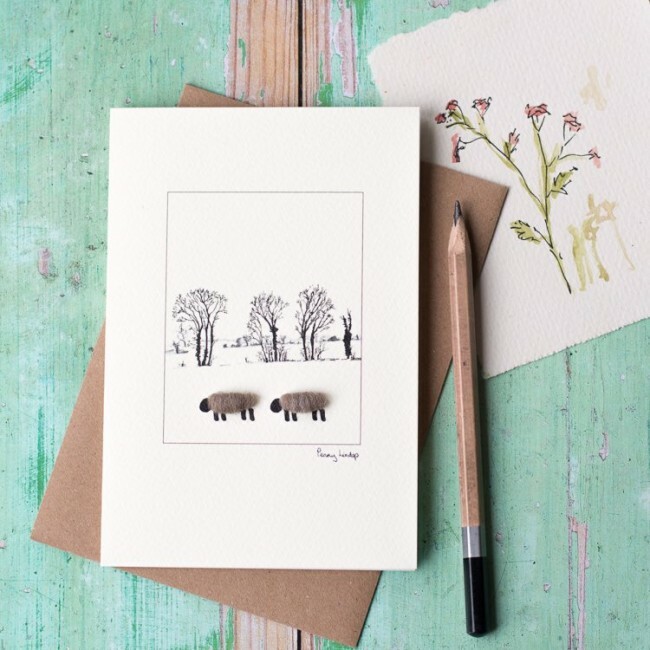 If you'd like to turn this card into a gift, we offer a simple oak kit frame with a mount so that the card can be framed afterwards. 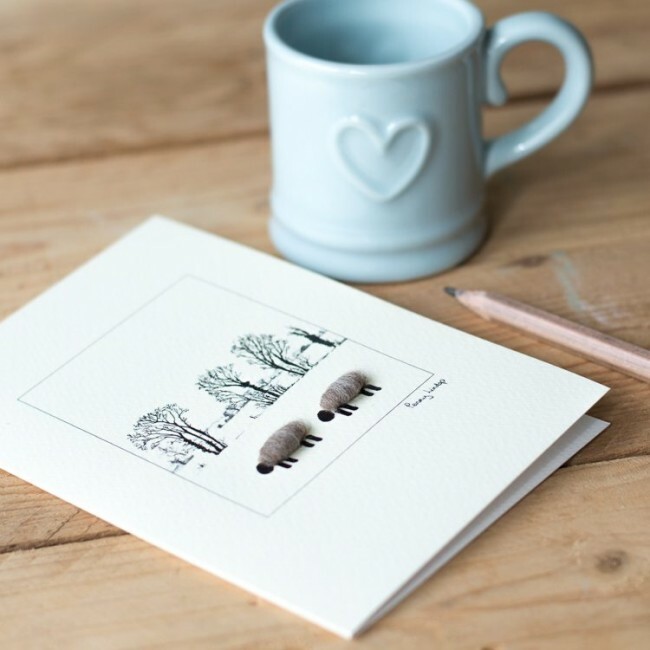 If you'd like to add our card kit frame to your basket you can find it here Card size - 10.5 x 15 cm (4 x 6 inches) We print all our cards on a quality board from FSC credited supplier.